RO: Why is storytelling a good way to reach the general public? DS: Storytelling is the only language that can communicate with people all around the planet. It’s what our brains are wired to do, it doesn’t matter whether you are left brain, right brain, Asian, Hispanic, what your age is — you take any demographic of any kind and try to segment it off and story cuts across all borders, all learning styles. Story stimulates both the left brain and right brain — it’s a holistic learning form. We’ve all been learning through stories since birth, and if you use the “Story Theater Method,” [Doug’s technique] you’re actually using the technology of non-verbal communication brilliantly. In other words, behavior is language. When you and I go to a movie, the cinematic story is a lot like a play. There’s a lot of times in the story when there’s no language. There’s just faces, and reactions. And that’s nonverbal communication. The first form of communication you and I ever experienced was nonverbal. Before we even had a left brain that was developed at all, we interpreted Mom or Dad’s smile or energy. When I’m teaching people how to use story, I’m teaching them how to tap into intuitive-interpretive, as well as left brain linear-interpretive, and that’s the power of my technique. I told a story in Singapore – a very different audience — and they got it. RO: Can you tell me about the importance of “specifics” in storytelling? DS: Yes, of course. The more generic a story is, the more boring it is. You can say, “I went to London on vacation and it was a fascinating city because there are all these old buildings and it was an amazing vacation.” Okay, I just told you a story, but there was nothing there for you to grab onto. Other than London, that was the only detail I gave you, but that’s not what you want. You want to BE in London. And so the specifics of story — I always say the magic of story — lies in the details. It’s in the nuance, it’s in the magic and the experiences you had. And so the specifics that you’re talking about for instance, I would say, if I’m telling you about going to London — and I’ve been to London about 9 times — I would describe walking along the River Thames, and seeing all these fascinating pubs and choosing a specific pub to go into because of the woodwork, and the way the interior felt like an old Shakespearean pub, because I have this whole thing for Shakespeare. So I go in and I sit down and there will be all these plumbers and carpenters and people that work for a living, sitting down in this old pub down by the river Thames, and I’d have a great lunch and I’d have an Irish stew or something and a Guinness, and then I’d walk out and I’d walk back along the river, and then there would be this Millenium Bridge, which is a fabulously modern bridge in the midst of all of these ancient pubs. That’s where story comes to life, in describing what I’m seeing. So as I’m telling you about being in London, I’m seeing it. And I am taking the time to give you the specifics of what I’m seeing, so you can see the same things. Now did you just see them? RO: Absolutely, that was wonderful! DS: The specifics allow the listener to have an experience, a visual experience on the movie screen in their mind. If you don’t give me specifics, then I basically just have a laundry list, a grocery list. RO: And can you have a story without tension or conflict? DS: Not a good one! RO: So what got you into teaching about storytelling? DS: Well, I’ve evolved from a theater background. Back in my twenties and thirties I was an actor in Hollywood, and I was doing Shakespeare and all kinds of theater and a little movie and TV. And my intention was to be a movie star, as many people anticipated. It didn’t work out for me, and I eventually got out of Hollywood and got out of acting, but that was my foundation, plays and theater and storytelling in the theatrical environment. I got into real estate here in Colorado, in marketing and selling. And what I didn’t know at the time was that part of the reason I was so successful in real estate was because I just told a lot of stories. They were stories about houses that I’d seen and neighborhoods that I’d been in and clients that I’d met. And I was able to have a really good competitive advantage as a realtor because I was just very personal and told a lot of stories. Well, I guess it is. And so they asked me to teach them, and I started teaching other people to tell stories the way I told stories. And out of that process of teaching, as you know, you start to systematize what you are teaching, you start to break it down into component parts, you start to analyze the different pieces. And I eventually started to teach what I called the “science of the art” of storytelling. Because little did I know, that as an actor I was always one of the analytical ones that was going, “Well how does that work? And how does that action take place? And how do you do this technique?” And then as I was teaching storytelling, not for actors, but for people who wanted to do teaching and training, that is where the art of the storytelling started to take place. 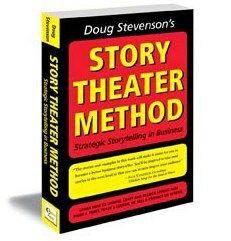 And so I’ve created this Story Theater Methodology. Which I actually refer to as storytelling technology. Because like technology, once the technology has been created, it works. It does what it’s supposed to do. The methodology that I teach combines acting, storytelling, form and structure. The sequencing of story, the elements of story in the right sequence and message branding, kind of like advertising and jingles, when I combine these three together it’s really high level adult learning. And so it looks like art, feels like acting, but it’s actually quite a brilliant science in the way that you can tell a story to get people to do what you want them to do, to believe in your idea, to influence them to change their behavior, whatever. RO: Do you ever get any scientists in your workshops? DS: A few scientists, but a lot more engineers — a lot of high-tech people and “pharma” people. People who are building technology. Engineers that are working within organizations come to me quite often because they realize that they are so left brain analytical and linear, that they need to be better at using story because they recognize the power of story. But they realize that when they tell the story it’s very A.. B… C… D… fact-based, it’s very logical and linear but there isn’t much texture, art, or emotion to it. So when they see the story-theater method, and I call it storytelling “technology,” these left brain people are very open to coming to work with me because they know that I have a process, it’s not just goofing around. People who are like scientists, very analytical, left brain type people are very open to this technology and are very interested to try it. RO: Do they have more ground to cover? Are they disadvantaged at the start? RO: How, specifically, do you get people to make a first connection with storytelling? DS: One way is I have you tell a story about someone who was a big influence on your life. So while I’m talking right now, I want YOU to think about someone who was in your past. The major, most important mentor in your life. Someone who supported you unconditonally or helped you get through an important point in your life. Can you think of someone from your past like that? DS: Identify someone in your mind right now, you don’t have to tell me who it is, but just think of one person. DS: Now what I would do in my workshop is I would ask you to come up to the stage in front of the room and just tell us about a moment in time where that person said something or did something that was meaningful to you. And that you still to this day can put yourself back in that moment, and experience what it was like to be in that moment, and experience what it was like when they helped you through that moment or do that thing for you or say that thing to you. RO: So is that sort of an ice-breaker thing to get people to feel more comfortable up on the stage? DS: Right. It’s an exercise that results in you telling a story. Now here’s where the technology comes in. By just telling that story, you get in the neighborhood of what I want you to do, because the story has emotion because you’ve chosen someone who was very important to you. The moment when it happened was very meaningful. Now even though it might be ten or fifteen or twenty years later, when I ask you to go back and tell that story again, you would be amazed at how many people can still go back and channel that emotion. Our emotions are all trapped in our body somewhere. What I do is help you find that emotion through the context of an acting exercise. So in the first run through I just have you tell me a story. Then in the second run through I want you to go back and feel the emotions. I show how you can, as an actor would, re-experience right now how to allow those emotions to be expressed. That’s where some people are comfortable with this, and some people aren’t. Because some people are used to being emotionally available and some people are not. A lot of scientists and engineers are people that are not as emotionally available in public as others would be. So they have a lot of work to do, but do they do it just as well? Of course they do. RO: Can you tell me a story of any individuals in your class that you’ve ever seen really have a revelatory experience with storytelling? DS: I remember one individual — I believe he was a Cisco engineer. In the process of telling the story of a person who was a mentor in his life, he told about his father. And how the relationship between them was of deep respect and love, but it was not outwardly expressed. And there was a point when his father stepped up and supported him in a way that he’d never experienced before, because his father was a very reserved person, worked two jobs and was rarely ever home. And this guy was an engineer from the Philippines, so he wasn’t only an engineer, but he was Asian, and I don’t know if you are familiar with Asian culture, but they are often pretty non-emotional. He had such a breakthrough in telling that story — in terms of revealing what that moment meant to him and how powerful it was for him to have that experience with his father and what it felt like, and when he got done with telling the story, the entire experience of the rest of the workshop was totally different. He’d broken through a barrier of allowing anyone to ever feel the emotion. Actually it was probably a barrier of feeling the emotion himself. Because of the context of the story and the workshop, he immediately received feedback from everyone else that that was an amazing story and an incredible moment, and that gave him permission to feel braver throughout the rest of the workshop, and express his emotions. DS: So I guess the lesson to learn here is that scientists, engineers, whoever it is, we all have emotional experiences in life, it’s just that scientists and left-brainers sometimes bottle it up more – hold it back. They are just like artists and more emotionally available people, but they just have to figure out how to process that stuff — to release it and express it so that it can be a metaphor for everybody else’s experience. RO: Do you teach narrative structure in the workshops? DS: Yes, that’s what the “nine steps of story structure” in my story theater methodology is all about. There are three aspects, three phases to my methodology. The first one is how you choose the right stories, how you identify stories that will be the vehicle to communicate the point or teach the lesson, or sell the product that you want to sell. So you have to have the right story for the right purpose, it’s a strategic tool. So the first phase is choosing and identifying stories. The next stage is crafting them. That’s the process of moving through setting to scene, to making the point, and then the third phase is presenting or performing the story. So the methodology goes from concept — what’s the story — to process. How do I create the story — how do I script the story, how do I develop the narrative. And then how to perform the story, whether it’s in a room of five people, or whether it’s a board room, or a thesis that you’re presenting at a conference or whatever. The presentation is the third phase. It’s a methodology, it’s not just hanging around, it’s a methodology. That’s why people love it. RO: Let’s say you were brought in by a group of scientists who were getting their funding from a state legislation. Suddenly, their funding was cut way back, and then went and talked to the state legislators and were told they were being cut back because nobody knows what it is they do, because the scientists didn’t feel the need to communicate what they were doing with all the support in the first place. What would you do to help them communicate more effectively? DS: I always approach trying to share with someone what it is I do by telling them stories of what I do, of giving them examples of people that I’ve worked with. By helping them see what the methodology is to help them see the result. A scientist or engineer might give them an explanation that’s fact based or logic based. But the person who’s listening to their story, unless they’re a fellow engineer or scientist, they are not going to be able to process your story because we all process visually. If you give me facts and data, you give me nothing to visualize, you give me nothing to see and experience. So if I was working with scientists who had trouble explaining what it is that they do, I would help them, “Turn your data into stories and metaphors.” That would turn that process into a three dimensional reality for the listener. If I’m going to understand what it is that you do, I’m going to need to take a test drive. RO: And so what if you had someone who was skeptical of your scientific viewpoint. Could telling stories help bring them around? DS: Yes, it can happen. A really good story can take a skeptic and transform them and get them over the fence to the other side because it’s not just going to be done in a logical, linear fashion, it’s going to be done in an emotional and experiential fashion. Story can be transforming only if it’s emotional and experiential for the listener. If it’s mostly intellectual and fact-based then I can make up reasons in my mind why I don’t buy into it. For anyone who’s ever had an experience that counter-acts their belief system, their experience will change them and take them over the fence. As long as someone has a belief system and has never been challenged by that experience, they can hold on to that belief system. So when you have your own personal experience, that’s when you are transformed. Story is the only vehicle I know of that when you are speaking to someone who is skeptical of something you can make them have the experience that you have. And so when they’re sitting in a room full of people, it can help them experience what you want them to experience, and it can help them get over the fence. RO: Well, and there you have it – a major part of my feeling for why the Al Gore movie, “An Inconvenient Truth,” didn’t do much to bring the opposition “over the fence” – it was too full of information and failed to tell a good story. DS: And Al Gore at his best is still Al Gore. And that’s why a lot of documentaries go out and get an actor, because an actor can allow them to communicate the message without overwhelming it. There are actors that do narrative like crazy in documentaries, they are just hired all the time. And I’m not saying that’s what you do, but I’m saying a lot of times the difference between the story getting across or not has a lot to do with the narrator pushing the story forward and linking all the elements, but to be able to do it in a way that their sound and their emotion is convincing but they don’t overwhelm the message, they don’t get in the way of it. And Al Gore was the message, and maybe they could have done a lot more if they had somebody else, but it was his message. DS: And I think that’s what was positive about what he did; He put a brick in the wall, it was not the entire wall, but at least it was a building block. RO: So who are your favorite story-tellers of all time? 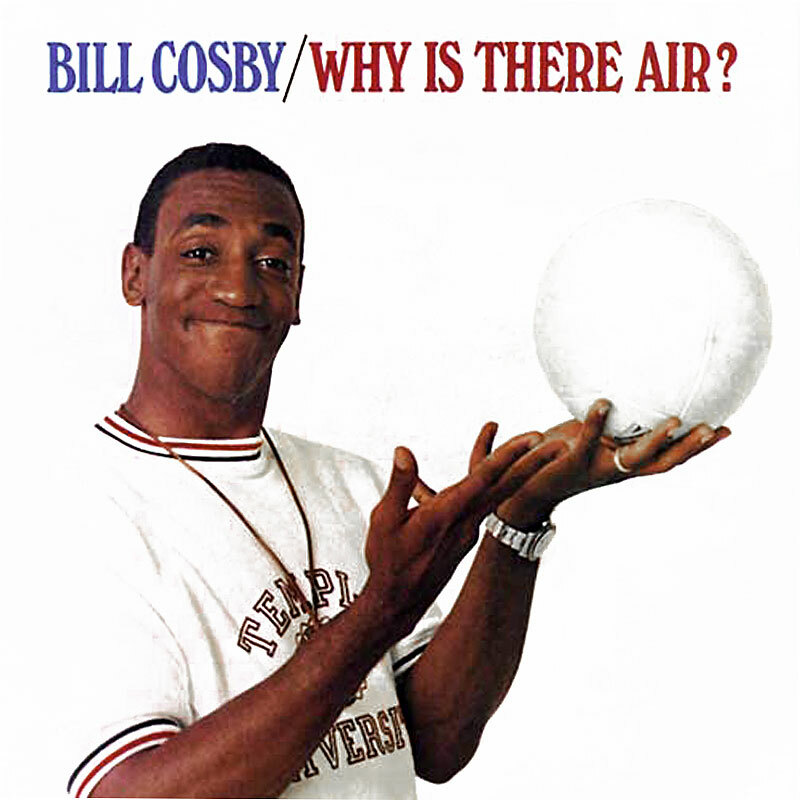 DS: Bill Cosby is probably one of my favorites. He was one of the first models that I ever had for story, and obviously he uses story as a comedian. But he was my first model for it. And later on Robin Williams had been a great influence on me. Even though you think Robin Williams is just, you know, deranged. RO: If somebody from the science world or some science organization wanted you to come in and do a storytelling workshop with them, is that something you would do? DS: Yes, I do storytelling workshops all over the world. The website where they can find more information is www.storytelling-in-business.com and the phone number is 719-573-6195. We’re in the Rocky Mountain Time Zone, in Colorado. And I also have a story-theater newsletter that goes out once a month with an article on storytelling. I’m linked to a storytelling in business group, a study group. And there’s many ways that people can participate with me: I’ve got audio products, video products, articles that I’ve produced, and my book The Story Theater Method. 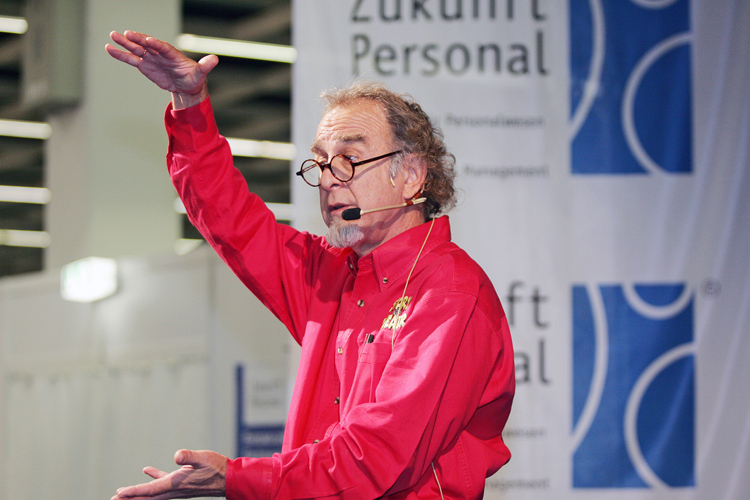 So yes, I do a lot of corporate workshops, organizational workshops, to help people be better communicators, and to help people find as an organization templates that they can use in what they do and what they are all about. RO: Do you have any final words for scientists about storytelling? DS: What I would say to scientists is that if you are going to Spain, it’s helpful to speak Spanish, if you are going to Germany, it’s helpful to speak German. If you are a scientist, and you’re stepping out of your country of origin, which is science-language, and science-speaking, you have to learn the language of the people you are speaking to. And that’s not necessarily science, left-brain, linear, logical language. Some times there’s a different language that other people speak outside of your world. And it’s helpful if you speak their language. And if you want to reach out to and influence those people, to get them to take the action that you want to take, storytelling is their language.